Welcome to waterfront living and a boaters paradise! Florida living is what this home is all about! 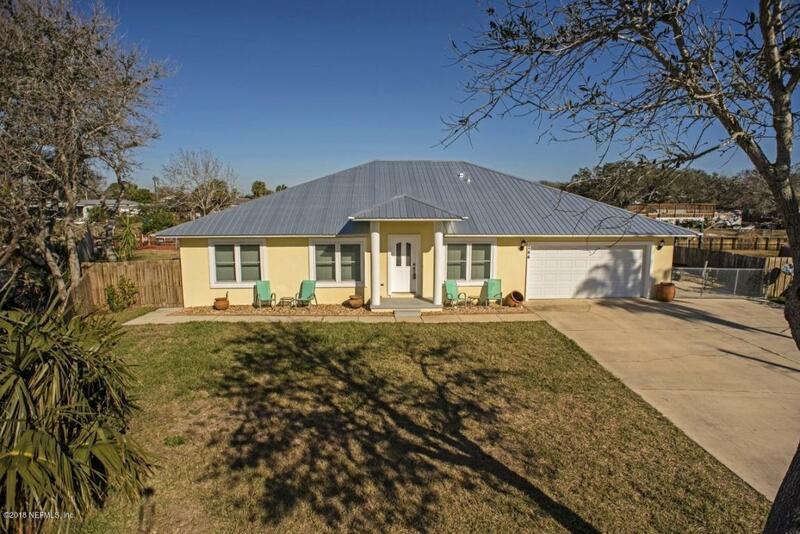 Enjoy quick and easy access to intracoastal from this bright and cheerful single story home with new metal roof (January 2018). Step onto the side patio to enjoy dining al fresco with a water view. Watching wildlife and sunsets from the waterfront deck will become an end of day ritual. Hungry? Drop a line to reel in dinner! Fishing/boating enthusiasts will love the fish cleaning station, floating dock, outdoor hot/cold shower nd boat/rv parking pad. The large fenced in back yard is perfect for a pool with tons of space for kids and pets to roam. The large living space is open to the kitchen and breakfast nook creating perfect flow for entertaining.The flex space off the living area is perfect for an office, artist studio or teen space. Four guest rooms with share guest bath are tucked away from the Owners Suite, offering privacy for everyone. The Owners Suite enjoys an extra large walk in closet, dual sinks, generous step in shower and soaker tub. The two car garage provides plenty of storage for all of your beach toys; and in addition there is separate shed area as well for all the boat and beach stuff! Located in a quiet, yet centrally located neighborhood - this home is move in ready. Now.. throw the dock lines and lets go boating from 244 Barco Road!